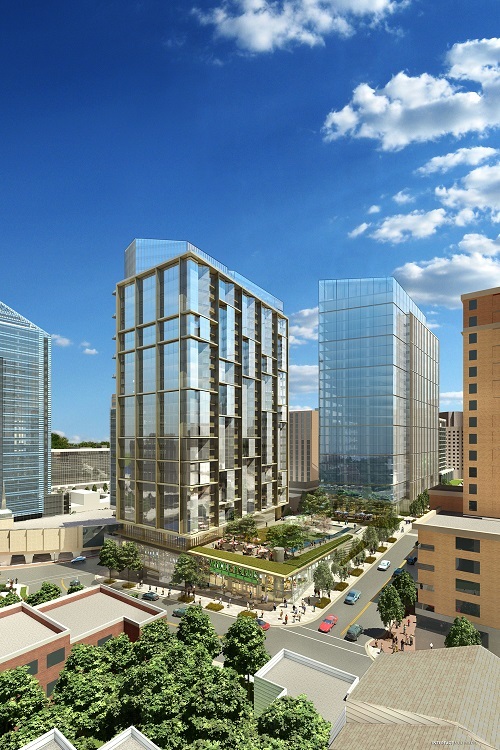 ARLINGTON, Va. – The Arlington County Board today approved a site plan for a new development that will transform an entire block in the heart of Rosslyn. The redevelopment will include two mixed-use, energy-efficient buildings, certified LEED Platinum and Silver, on the block of 1401 Wilson Boulevard and 1400 Key Boulevard. The County Board voted 5 to 0 to approve the site plan and rezone the site to “C-O-Rosslyn” Commercial Office Building, Retail, Hotel and Multiple-Family Dwelling District. 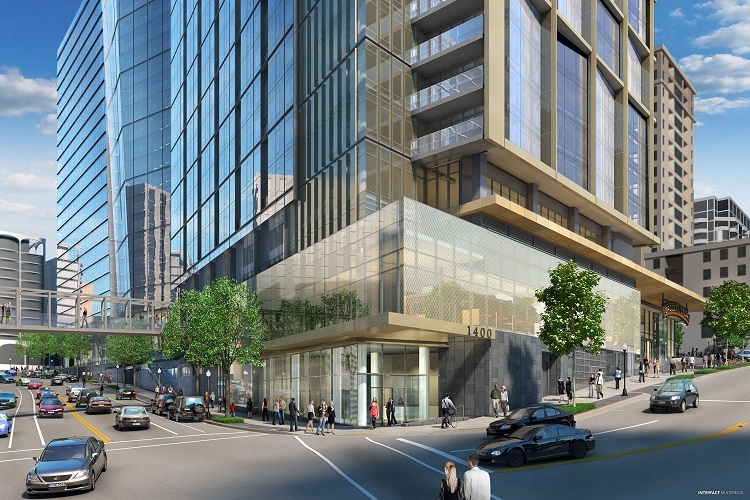 The Monday Properties project includes a 24-story office building that will combine 513,004 square feet of Class A space with 11,131 of ground floor retail space, and an adjoining 28-story, 274-unit luxury residential tower. The project also will include an underground garage bike facilities, pedestrian walkways and improvements to area streets. 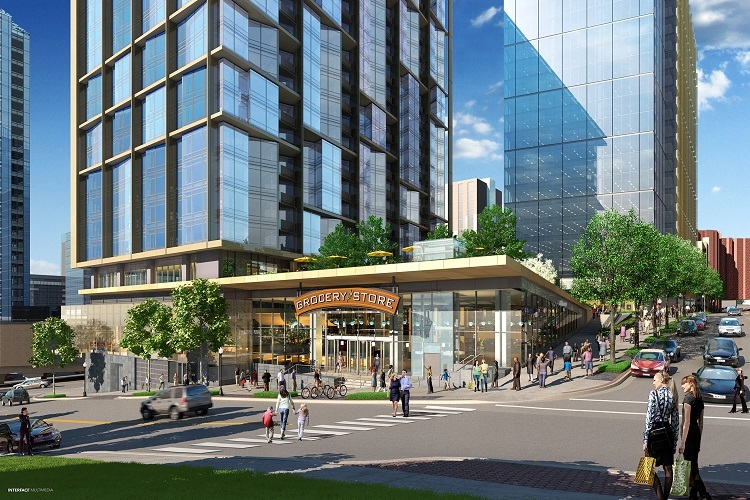 As part of the redevelopment plan, Monday Properties will contribute $7.8 million to support affordable housing initiatives within the Rosslyn Metro Station Area. 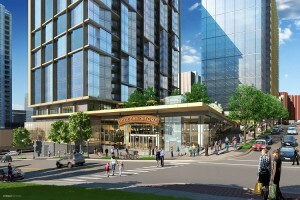 This is the largest contribution to date for any “C-O Rosslyn” project. The site will have six levels of below-grade parking, including 816 parking spaces and 219 bicycle parking spaces. Improvements also will include realigning and rebuilding part of the existing skywalk system that provides an elevated crossing of North Nash Street. This will be a temporary solution until the 18th Street corridor, and associated transportation improvements such as the removal of the Ft. Myer Drive tunnel, are completed. A direct pedestrian connection through the site along the 18th Street corridor; added streetscape, protected bike lanes, and crosswalk improvements. Approximately $5.7 million to support transportation improvements in Rosslyn, including contributions to the removal of the Ft. Myer Drive tunnel, streetscape improvements within Rosslyn, and improvements to Wilson Boulevard. Approximately $3.1 million to support open space and park improvements within Rosslyn. Additionally, the project is comprised of 54,000 square feet of open space, 59 percent of the site area. The project will earn the LEED Platinum for the office building and LEED Silver for the residential building. The residential building will also earn the LEED Existing Buildings: Operations and Maintenance (LEED EBOM) certification, which measures post-occupancy environmental performance including energy and water efficiency, alternative transportation and other factors. Affordable housing The applicant will contribute $7.8 million to the County’s Affordable Housing Investment Fund. 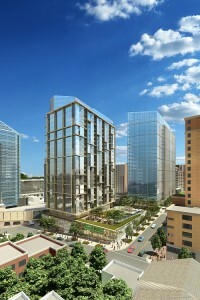 to be used for affordable housing development in Rosslyn. The new structures will replace two 1960s office buildings and the parking garage that once served as a frequent meeting place for FBI Agent Mark Felt and Washington Post reporter Bob Woodward. A historic marker will be erected on the site to commemorate the location’s significance in the Watergate scandal. The Site Plan Review Committee reviewed the proposal eight times. The proposal also was reviewed by the Transportation Commission, the Park and Recreation Commission, the Housing Commission and the Planning Commission, all of which voted unanimously to approve the project. The 1401 Wilson Boulevard Site Plan is the first approved development guided by the recently adopted Rosslyn Plan Framework. The Framework is the result of the Realize Rosslyn community planning effort and represents a major milestone in the process to update the Rosslyn Sector Plan, which will guide decisions about new growth and development in central Rosslyn. To read the full staff report on this item, visit the County website. Scroll down to Item#31 on the June 14, 2014 Regular County Board Meeting Agenda.